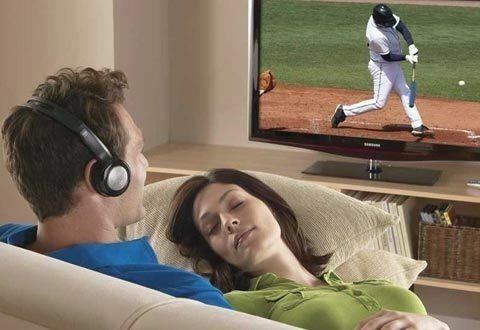 For securities players, they always need a computer with them, but those computers must have a compact design, strong shape, and long battery life to suit those who play for a long time. they are the ones who bring laptops to stock exchanges. For a long time, ThinkPad laptops have become a familiar name, the number one choice for entrepreneurs. Today, I want to introduce to you the 2-in-1 laptop ThinkPad X1 Yoga is the perfect combination of ThinkPad and a 360-degree flip screen from Yoga. The full name is ThinkPad X1 Yoga 1st Signature Edition and in this article, I will call it the ThinkPad X1 Yoga or X1 Yoga. Durable, beautiful and lightweight Carbon shell design. Integrated with 4G sim and stylus. The touch screen is beautiful, crisp and has a 360-degree swivel. SSDs have a low capacity, only 256GB. The case is easily fingerprinted. The price is quite high, not suitable for the majority of users, mainly aimed at successful entrepreneurs. The overall of X1 Yoga is completely just a black one that looks very simple. This is reminiscent of Apple’s Macbooks that are also designed with a simple but sophisticated philosophy. The whole chassis is made of synthetic carbon material so it will be very durable and light. The weight of the X1 Yoga is only about 1.3 kg so it can be easily held with one hand to use. The good point of this device is that the keyboard will automatically hide while folding in with a corner greater than 180 degrees to help protect the keys from scratches and at the same time avoid mistakenly pressing. The ports on X1 Yoga include Thunderbolt 3 port, USB 3.0, HDMI, Ethernet, 3.5mm audio jack. Behind us, there are two microSD memory card slots and micro SIM slot quite convenient when you want to use 4G. With a high price of this product that you spend, surely ThinkPad X1 Yoga will not be as fragile as you think. Lenovo has committed to the quality of the X1 Yoga standard MIL-STD 810G of the US military. That is, the machine will be very durable, can withstand strong impact such as falling from the table to the ground. The keyboard also has a spill-proof design. This will cause coffee cups to be accidentally dumped will no longer be a problem too seriously. Above all, what many entrepreneurs care about is security. With the built-in TPM module and one-touch fingerprint sensor, security is no longer a worry when you own X1 Yoga. It can be said, the ThinkPad X1 Yoga is the first business laptop to equip OLED screen so far. OLED screen technology has appeared much on Samsung phones and recently iPhone X.
OLED screen panel on X1 Yoga is also produced by Samsung with 2560×1440 resolution for beautiful images, sharp, high image scanning speed and battery saving. About the touch, the screen of the X1 Yoga is very smooth as when used on smartphones, only that it is also a little bit attached to the fingerprint a bit. You just need to hold a thin cloth to clean it right away. In addition, the screen of X1 Yoga is also covered with an anti-glare layer, so it is not a problem to use it outdoors with this laptop. Already a laptop for business people, the quality of typing is worth it. The keyboard has a depth of 1.72 mm, and is quite deep and gives a very good typing experience. The speed of typing on normal keyboards is only about 60 – 70 words per minute. But when typing on ThinkPad X1 Yoga, up to 83 words /minute. Like previous ThinkPad machines, X1 Yoga also has two different hover modes: trackpad and mouse pointer in the middle of the keyboard. For those who are not familiar with hands, it is difficult to use this pointer well. Most of the time, we still use the main trackpad. And the touchpad was produced by Synaptic, which has multitouch support, providing fast response, smooth and accurate scrolling. The ThinkPad X1 Yoga is designed to carry a powerful stylus called ThinkPad Pen Pro. This stylus supports 2048 levels of pressure sensors. Unlike many other 2-in-1 laptops that require you to carry your stylus, X1 Yoga has a pen slot available. This pen is smaller and shorter than previous ThinkPad pens but easier to hold than Apple Pencil or Samsung S Pen. ThinkPad Pen Pro has a built-in battery and automatically recharges when you plug this pen into the slot. When Lenovo launched the first generation ThinkPad X1 Carbon in 2012, this ultra-light laptop shocked the world with its slender body weighing less than 1.4 kg while maintaining the screen size. up to 14 inches. Weighing 1.3Kg without a 1.5-liter soft drink, the X1 carbon is really lightweight compared to the weight of mobile station computers like Dell Precision Workstation, ThinkPad Workstation, and HP Workstation. With a maximum thickness of only 18mm, not a knuckle, the machine feels like an A4 notebook with a width of about 30cm. Although it is smaller and lighter for women, it has a somewhat black color that is attractive to men. The fact that an office worker, journalist, etc., is using the Thinkpad x1 is not surprising. 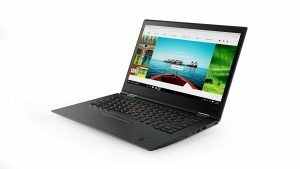 Using materials completely different from MacBook air, MacMook pro retina or some other ultrabook models, the Thinkpad x1 carbon uses carbon fiber to build up its outer enamel. The application of this technology helps the Thinkpad Carbon to have a very light weight but still ensures the protection of the Thinkpad’s internal devices x1. 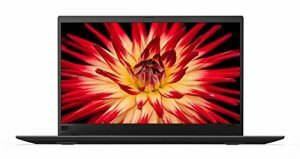 Equipped with HD 14.1 ”HD screen, HD + and full HD definition with each version, the thinkpad x1 allows users to choose the right device for their price. The display of X1’s carbon image is quite good, although it is not equipped with IPS technology with high resolution, so the color of the image display is quite bright and lively good. But basically, the screen of the computer is completely superior to the majority of other Ultrabooks like the HP folio 9480M, Dell latitude E7440 … Not only that, the Gorilla glass is designed to help the screen thinkpad x1 carbon will ensure The device does not scratch due to accidentally touching. Not to mention that the machine can expand up to 180 degrees but you have a hobby of sitting nicely. As one of the series classified into the Ultrabook line, however, the Dell XPS 15 9560 itself is still designed for multimedia entertainment, and especially blends a little in the high-end fashion line by the way. Its ultra-slim design. 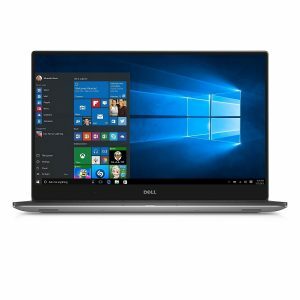 The overall appearance of the Dell XPS 15 9560 – we call it the 2017 version – is still the first version released in 2012. Using the monolithic metal cover design constitutes a high-pitched plastic case and cover. The level is covered with velvet to make the inside of the screen and the keyboard lining. The cold sensation of the metal strongly impressed when it was first touched. If you put it next to the first version of 2012 and look from above, it’s hard to see if you just glance at it. However, just looking to the side, the thickness has decreased markedly from 2.3cm in the first version to 1.1cm in the thinnest point and 1.7cm in the thickest point of the 2017 version. Lenovo Y720 is Lenovo’s most powerful gaming laptop currently. 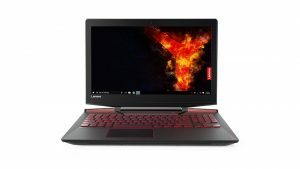 Maybe this brand has not really stood out in the segment for gamers yet, but this time with the Y720 will be an initial step for Lenovo’s “legion” to compete with many other competitors. Lenovo Legion Y720 is designed to be quite impressed with the striking patterns and red Y’s. Unlike the plastic shell of Legion Y520, this Legion Y720 is made of luxurious aluminum material, when it is very cool and comfortable to touch. 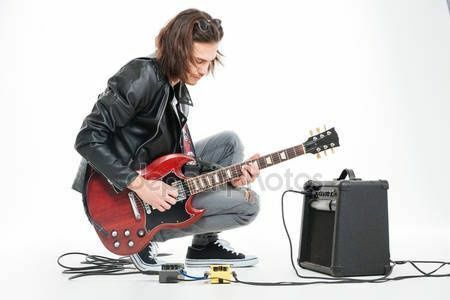 The hinges are sturdy and sturdy, so we can only open the machine with two hands, along the outside are two black metal speakers with a red coating that gives a look to the laptop. Legion Y720 has dimensions of 380mm x 277mm x 29mm and weighs 3.2 kg, users can completely put the machine into a bag or bag and take with them for learning and entertainment without much difficulty. Lenovo Legion Y720 is equipped with a 15.6 Inch screen with Full HD or 4K resolution options. The average brightness measured by the Legion Y720 is only 210 nits, lower than the average of 271 nits. The color reproduction ability of Legion Y720 is 73% sRGB, behind the average of 95%. However, the color is quite accurate when the Delta-E score is 0.2 (near 0 is the best). Legion Y720 uses IPS panels for a wider viewing angle, the anti-glare capability to help you work well in different environments. Legion Y720 possesses an extremely powerful configuration with the Intel Core 7 processor which is able to meet most of the needs of dealing with securities transactions to mobile graphics tasks such as editing. , rendering, 3D or graphic design. We can choose the I5 or I7 processor, the RAM capacity up to 16GB, you can open dozens of Chrome tabs, move back and forth between tabs without any lag. The hard drive comes with a 128GB PCIe minimum SSD drive that allows operating system and data transfer quickly, with 1TB 5400rpm HDD you can comfortably store. Ndivia GeForce GTX 10 Series graphics card is 3 times stronger than the previous generation, ready to play the game that requires the highest configuration, especially Y720 equipped with Ndivia GTX 1060 6GB graphics giving you a great experience. In short: These are the 4 products which are the best laptops for stock trading. Good luck!